Underneath all the capitalised game nouns like Legendaries, Contracts, and Legendary Contracts, Anthem has a wonderful way of looking at its world. The title, as you probably know, refers to an ancient banger that powers all creation, the way Fleetwood Mac’s Dreams does when I’m writing. 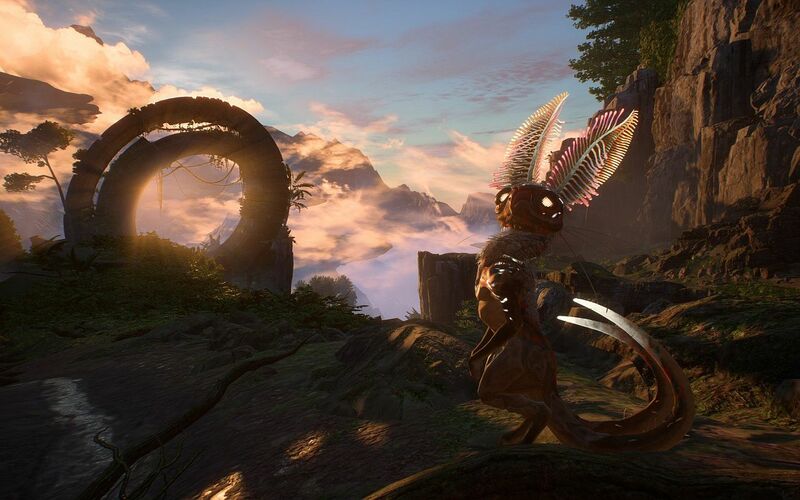 The Anthem was channelled by a god race using instruments – devices used to physically shape the land – until something went wrong and the Shapers split. Nobody living in Fort Tarsis expects them to come back, but they said that about Fleetwood Mac too. 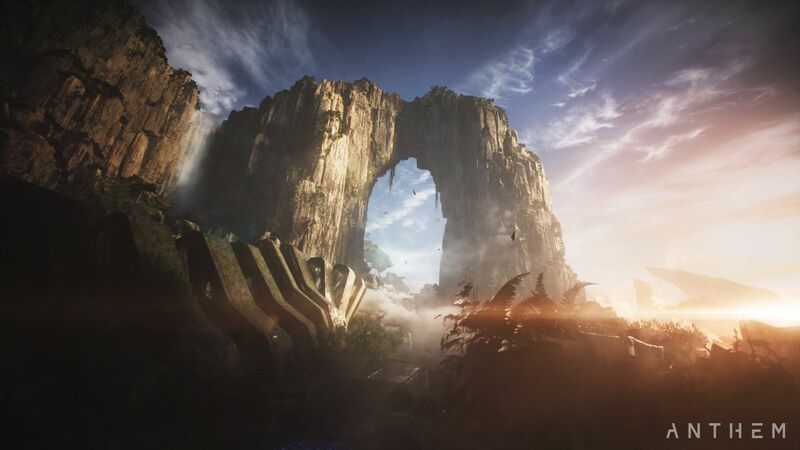 There’s a beautiful musicality to Bioware’s language that encourages you to imagine Anthem’s mountains curving into being like melodic phrases, its subterranean rivers running below the surface like a bassline. And it got me wondering about whether similar analogies could help describe the creation of our own world – and to what extent it’s possible that our own universe might have been shaped by an Anthem of Creation. Santiago Cabrera is a PhD student in Theoretical Physics at Imperial College London, who’s been published in papers with names like ‘Minimally Unbalanced Quivers’, and ‘Tropical Geometry and Five Dimensional Higgs Branches at Infinite Coupling’. The more abstract physics gets, the happier he is. String theory is a particularly elegant way of explaining everyday physics. It suggests that the fundamental building block of our universe isn’t any of the particles you might have heard of – electrons, quarks, the recently discovered Higgs boson, and so on – but is instead more like a piece of string. While we experience the world in four dimensions – three for space, one for time – string theory assumes the existence of more dimensions, ones we’re unaware of. If that’s true, all the fundamental particles we know are simply different perspectives on the same piece of twanging elemental string, as if all existence was the bassline in a Motorhead song. By explaining gravity as just another perspective on the string, the theory unified it with the other three fundamental forces – weak interaction, strong interaction, and electromagnetism. This is something that makes physicists as happy as Motorhead songs make other people. There’s reason to believe that Bioware has been talking to theoretical physicists too. If you’ve completed the mission Inverse Functions, you might remember that the Manifold – a Shaper instrument the basically functions as a big amp – divided the arcanist Matthias Sumner into three and reduced a Dominion soldier to goo. Cabrera, who I’m beginning to suspect would make a good arcanist himself, is perfectly at home with this terrifying idea. “If you use string theory, you think of our universe as living inside some bigger space,” he says – a space described as an ‘infinite membrane’. If you did want to change the mass of fundamental particles, in the way the Shapers might have, you’d need a huge amount of energy. Anthem accounts for that too, with Cataclysms – huge storms like the Heart of Rage seen at the game’s opening. When the Anthem of Creation overwhelms a Shaper instrument, it can result in earthquakes and waterfalls flowing upwards. Cabrera suggests that, with enough energy, there’s no reason to believe the physics of our own world couldn’t be altered completely. As a counterpoint, the state of Anthem’s world suggests that, hey, even if we could, perhaps we shouldn’t. Our planet and reality are volatile enough. But there’s nothing to stop us from viewing the universe from a musical perspective. It’s not as catchy as ‘life is like a box of chocolates’, but it’s lovely to imagine that our universe might, in some way, be the consequence of a really good tune.